Homemade Paste Tomato- Hello everybody, welcome back with ZetiraKitchen! 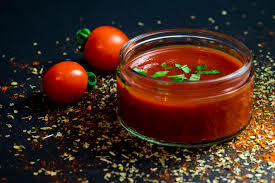 Today i will share about Easy Way Made Homemade Paste Tomato. Tomato paste is one of important ingredient to add flavor to your cuisine. You should have this ingredient in your kitchen. You can make your own tomato paste easily rather than buying canned pasta. And the result can be more satisfying, cause you will arrange the ingredients by yourself. What you need for some material and enough time. So let's start it! smooth with blender the tomatoes and onions. then boil in a pan until boiling. Add sugar, margarine, salt and flavorings to taste. stirring the mixture until boiling. Cook tomato sauce for about 45 minutes or until the water is reduced and thickens. if there are still trembling, smash it with a spatula to smooth tomato sauce. if it done, let sit in room temperature.